With its extensive collection of design of all kinds, from engineering to fashion to ceramics and jewellery, and with its links to industry, I always had high hopes for the Powerhouse Museum – but it was not to be. Unfortunately the Powerhouse always had a slightly fragmented nature. Was it about social history, design, science and technology or the crossover of all of them? All too often and for far too long it was something for everybody – a strength in itself, but also a great weakness, as it meant it fell between too many stools, well-designed as they might be. In many ways design is a central part of the vocabulary of our time and integrally related to so many powerful social and economic forces – creative industries, popular culture, the digital transformation of society. As a result the Powerhouse should have gone much further and achieved much more. That it failed to realise that potential is a measure of the lack of strategic vision, including from successive narrow governments which have never properly grasped the power of culture in shaping society and the need for the long-term substantial commitment to enable it. A long time ago in a universe far, far away – well at least Sydney in the second half of the 1990s – I worked at the once mighty Powerhouse Museum. I was the Membership Manager there for five years, a period of great gains when the membership doubled. This was after a skyrocketing increase followed by a distressing plummet straight after it opened – luckily before my time. When I started the Museum had been struggling to recover from those sudden subsequent shocks for several years without much success. It was my introduction to the Museum and confirmed my belief always to look for the long-term and be wary of sudden successes and equally sudden failures. I had promised myself I would stay for five years – what I thought was an inordinate length of time in a job at that stage in my life – and double the membership. Then, having well and truly achieved that goal, as the events of the Sydney Olympics wound down, some in the same precinct as the Museum, I made my own long jump and headed to Canberra for a marathon in the public service. 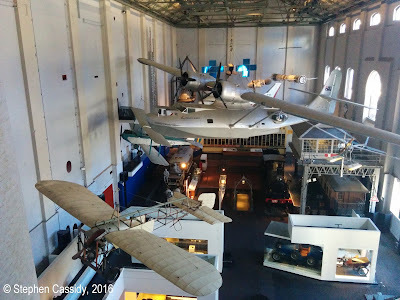 'Looking down on birds' - view from the Members Lounge down over a Catalina Flying Boat. I'd made my contribution and that could have been that. But I couldn't forget the Powerhouse and I found myself drawn back there often. Since my time there I have been back many times, sometimes to see exhibitions, sometimes for other reasons. The Powerhouse tended to be a centre of attention that hosted events – roundtables about digitisation, workshops about Indigenous languages that brought together cultural institutions and community languages organisations, and forums about the intersection of communities and information technology. When the Powerhouse first opened it had a huge impact. I remember being told that later visitor research showed half the population of Sydney had visited – once. Similarly the massive leap, then fall, in membership reflected this initial enthusiasm coupled with a popular belief that once you had seen the contents of a museum you had seen everything there was to see, forever. I worked at the Powerhouse when the first Sydney Design Week was held and exciting times they were. I had a tiny office on a mezzanine floor high in the building, overlooking a Catalina flying boat suspended from the roof of the Museum. It was spectacular. However, even a design museum can sometimes get it wrong – once as I stood at the sink in the kitchen of the members lounge, I realised with a shock that while leaning forward to use the sink, I couldn’t avoid hitting my head against the cupboard above it. Having moved on to work for the Australian Government, I was also for many years in the heart of research and policy around creative industries. Since I left there I have been involved with Craft ACT, which presents Design Canberra. As a result, throughout that decade and a half I found myself drawn even more into the world of design. 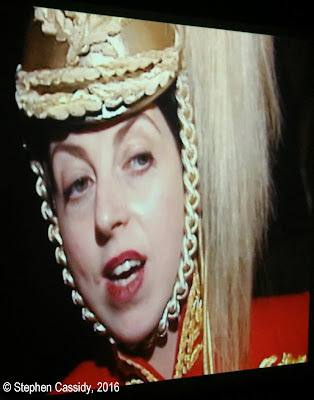 Isabella Blow in costume and character. My thoughts about the Powerhouse and my time there were stirred by a visit to see the exhibition of costumes collected by Isabella Blow, 'Isabella Blow: A Fashionable Life'. 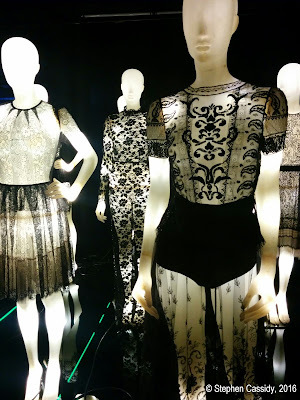 While I was there I also took in a major exhibition about the work of Collette Dinnigan,'Collette Dinnigan: Unlaced'. Over the decades, there have been some superb exhibitions at the Powerhouse. Some of those drawn from many different areas of the Powerhouse collection have been extremely worth-while, often ground-breaking. There are far too many to mention but there are several that spring to mind from my time there and soon after. The long-running exhibition about the universe of computing, originally called 'Universal Machine: Computers and Connections', explored a universal subject. Similarly '1000 Years of the Olympic Games: Treasures of Ancient Greece', the exhibition coinciding with the Sydney Olympics, where ancient Greek artefacts and state of the art animation and computer imagery intersected, pushed many boundaries. I was also impressed by some of those that drew on popular culture, bringing the world of special effects, cinema and television to the museum – though these were all too often a reflection of the insatiable need to generate revenue. Glancing at a list of exhibitions that have been presented by the Museum gives a snapshot of the range and strength of the collection and the exhibition program. Some of these exhibitions do not even seem to be on this list. For me, the design exhibitions have been the most powerful because of the way they have aligned with the spirit of our times. These were not only about fashion but also about engineering and science and technology. Amongst those that were about fashion, there were some excellent ones in the short-lived Asian Gallery, such as 'Evolution and Revolution: Chinese Dress 1700 to Now' in 1997-98, which featured the work of contemporary Hong Kong designers and captured the idea of the Asian Century, long before that was articulated nationally. Exhibitions also tackled design topics related to national identity, with ‘Beyond Architecture: Marion Mahony and Walter Burley Griffin’, providing a connection to Canberra by including the subject of the design of the national capital. 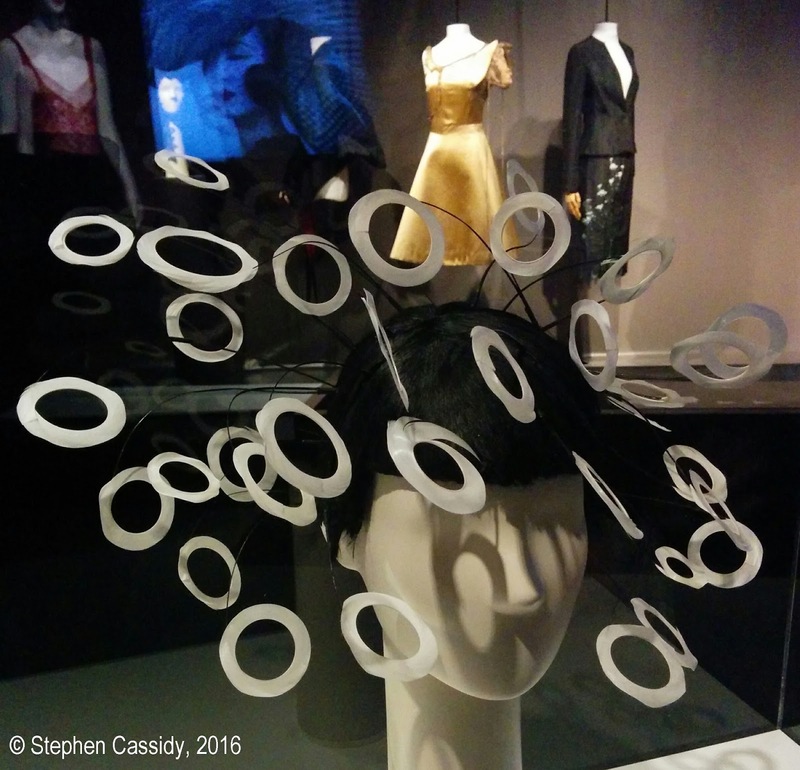 One of the many hats in the Isabella Blow collection. 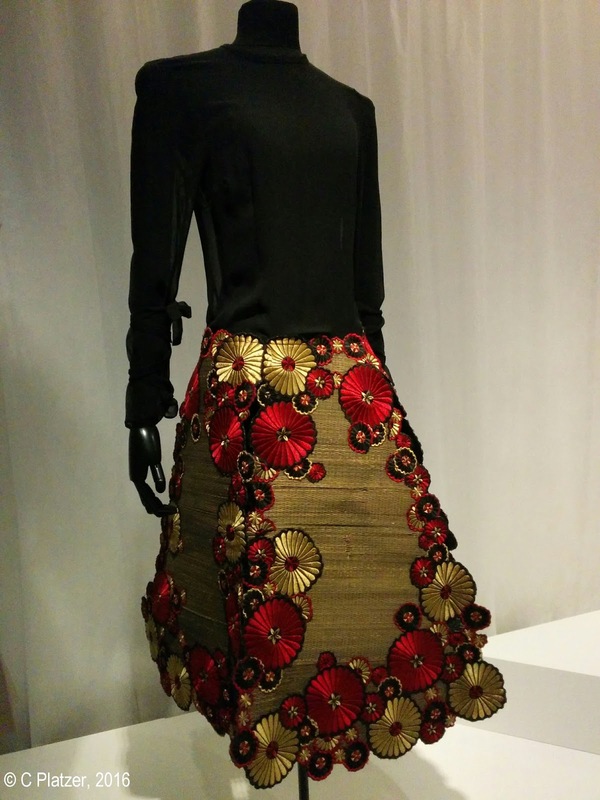 Seeing the Isabella Blow and Collette Dinnigan exhibitions was a swansong for this strand in the Powerhouse exhibition program. In fact, the Isabella Blow exhibition was highly appropriate now the Powerhouse is in a state of limbo, as it seems an accidental exhibition, so much a fortuitous opportunity that it didn’t even have a catalogue. As I strolled amongst the great range of pieces in these two exhibitions, I had good cause to reflect on the significance of the Powerhouse and on how it has become an example of how government doesn’t really understand the relevance and power of culture and its role in the positive shaping of society. Creative industries perform a key role in innovation. They are an area of research and development for broader industries, just as haute couture functions as R&D for the fashion industry. Designers experiment with new ideas and apply them using new materials, new combinations and new designs. With its extensive collection of different kinds of design, from engineering to fashion to ceramics and jewellery, and it's links to industry, I always had high hopes for the Powerhouse – but it was not to be. There had been structural moves to consolidate the links with industry in my time. While Jim Spigelman was Chair of the Trust, the Members program established a new stream of Corporate Membership to provide a more systematic base of industry supporters for the Museum. It had always had sponsors but this was something at once smaller in terms of financial contribution but broader and longer in terms of commitment and engagement. Unfortunately the Powerhouse has always had a slightly fragmented nature. Was it about social history, design, science and technology or the crossover of all of them? All too often and for far too long it was something for everybody – a strength in itself, but also a great weakness, as it meant it fell between too many stools, well-designed as they might be. This view was reflected in its erratic choice of directors. Because it was never clear what the organisation stood for, it was also never clear who was the right person to lead it. There is always a risk that it could become something for nobody, with lots of collections that never interrelate - and this in an age where everything is connected, made more so by the levelling power of the digital universe. Charles James was an American designer, born in England, who had a lasting impact on contemporary fashion. In 1937 he designed a coat, now in the permanent collection of the Victoria and Albert Museum in London, that was ‘a construction so impressive that Salvador Dali referred to as a soft sculpture’ (Powerhouse Museum caption). This is a 1999 homage to it by Alexander McQueen. With its flagged move to Parramatta, there is a risk that this fragmentation could be reinforced. The Powerhouse has too often been seen as just another niche, specialist museum, in the same way as the Australian National Maritime Museum. This is not to say that the Maritime Museum does not play an important role but, as a design museum, the content of the Powerhouse was far more broad-ranging and pervasive. In many ways design is a central part of the vocabulary of our time and integrally related to so many powerful social and economic forces – creative industries, popular culture, the digital transformation of society. Design is often misunderstood or overlooked and it's universal vocabulary and pervasive nature is not widely understood, especially by government. The Powerhouse was a great museum of design precisely because it was also a museum of science and technology – and a museum of social history, which could place it all in a historical and social context. Unfortunately, while all this was happening (or not happening) the Museum had become tired and worn and ready for a change. The dedicated Design Gallery, once a permanent gallery, has disappeared and the Museum has come under fire for downgrading design, part of the very lifeblood which gives it modern relevance. With a move in the air, there is no likelihood that there will be any spending on other than essential maintenance, even if there were funds in the pared down budget. Visiting was a bit depressing, not just because of what had once been, but more because of the potential that had not been realised due to the lack of strategic vision, including that of successive narrow governments of all shades of grey. Like most of the national and state institutions, the Powerhouse has been negatively affected by a whole suite of government actions, underpinned by an ideology shared to varying degrees by all major political parties. These so-called neo-liberal approaches to government, with their belief in the power of the private sector and the market alone to solve all problems, have led at their most extreme to the push over the last few decades to dismantle the welfare state and roll back mixed economies. 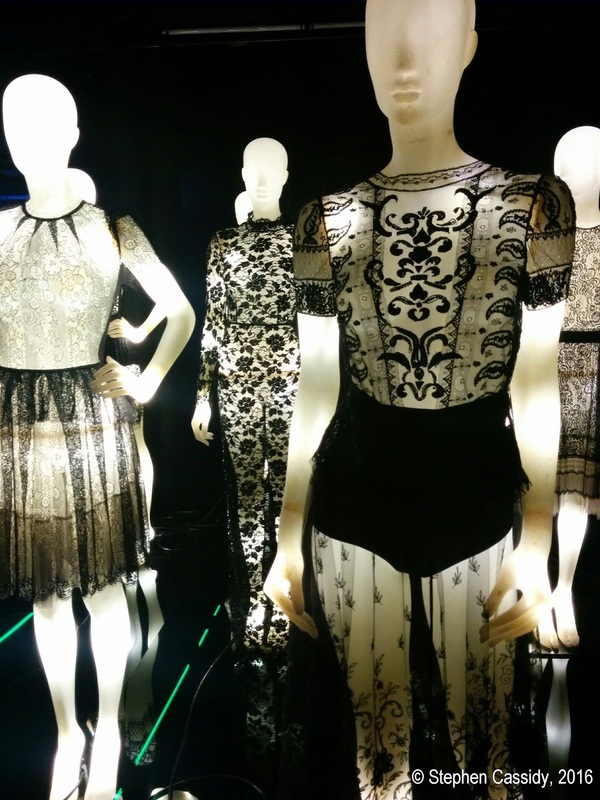 The Powerhouse has always had an important lace collection - lace creations from the Collette Dinnigan exhibition. A very specific example of this ideology in action meant the Museum fell victim to the widespread misguided push to charge admission. The assumptions underpinning this related to notions of atomised individuals gaining a personal benefit for themselves alone at taxpayer expense is so much part of the flawed neo-liberal philosophy. There is no sense of a social good from involvement in education or culture at all. It raises important questions such as ‘do we want an educated and informed public?’ or ‘is education mainly a benefit for individuals or for the whole of society?’ As the years go by I realise just how much damage this narrow ideology has inflicted on our country’s educational achievements, economy and future. Who knows what will happen with the Powerhouse. Perhaps the move, if it actually happens, will lead to a great re-energising and refocusing of the Museum. However this is only if there is a substantial commitment of resources to make the building of a great new museum possible. Half-hearted won't do. In the past the State Government has shown some level of enthusiasm for the promise of creative industries – it just doesn’t seem to see how that is relevant to the Powerhouse and its collections. The whole question of the move to Parramatta opens up much larger questions far beyond the issue of the location of the Powerhouse. It throws open the controversy over the long term neglect of support for the cultural life of Western Sydney. Whether this can be addressed by moving a single museum is seriously open to question. The West certainly deserves such a great Museum but the sad history of missed opportunity doesn’t bode well. A museum in Parramatta will attract a whole new set of audiences. However, it will also lose important audiences. More importantly, the move will remove it from the immediate environment of the surrounding education and research institutions so critical to its continuing relevance. One option might be to follow the path of many other museums, with one great museum in a number of locations showcasing the extensive collection. This would be especially appropriate for a museum like the Powerhouse, with its broad appeal. The risk is that in the process of relocation, the goose that lays the golden eggs will be killed off and Sydney and New South Wales will lose a museum of increasing relevance to the contemporary world, with a national and international profile and reputation. This will have negative impacts on Australia's cultural life, but also on its social and economic performance. With the track record and the ideological predisposition of the current government, the suspicion is always present that this is a combination of pork-barrelling and squeezing the maximum revenue out of existing public assets by removing them from public ownership forever. Sydney doesn't really need yet more expensive apartments where once it had a great industrial and maritime history. It's up to the government to make the case that there is no cause for concern. We live in an age where increasingly no-one trusts government to do good, so even when they do so, we are surprised. It doesn't have to be that way, so let's hope some good will come from these promised changes. I'd suggest crossing all fingers and toes and if that doesn't work out voting early and often. Whether it will make a difference remains to be seen, but it's important enough to try. ‘Despite its fragmented nature, the Powerhouse Museum was a great design museum precisely because it was also a museum of science and technology – and a museum of social history, which could place it all in a historical and social context. In many ways design is a central part of the vocabulary of our time and integrally related to so many powerful social and economic forces – creative industries, popular culture, the digital transformation of society. The current travails of the internationally renowned Powerhouse are a measure of a lack of strategic vision, including from successive governments which have never properly grasped the power of culture in shaping society and the need for the long-term substantial commitment to enable it. The Powerhouse continues to play a crucial role in the area of creative industries, especially design. Yet no-one seems to know about it. Where will exhibitions of this relevance and calibre be exhibited and, more importantly, developed, once these short-sighted changes have become real?’, Going, going, gone – the final spiral of a cultural icon?